For over 30 years, we have developed and improved every aspect of our programmes in order to deliver life changing adventures. With nine inspiring centres across the UK, plus a Château in France, we provide unbeatable learning experiences outside the classroom. We believe that learning is most effective when it's fun. All of our outdoor adventure activities naturally have additional benefits which encourage the development of social and personal skills. Our selection of challenging, high-adrenaline and fun activities are programmed to suit your exact requirements. Team building, resilience, self confidence...we've got ten to choose from so that you can maximise the potential learning outcomes for your group. Use our online programme builder to tell us about your group, your objectives and your preferences and we will give you a sample programme which will be used as the basis for your quote. We welcome young people from schools, groups, international visitors and adults. During the holidays we also offer kids only camps, family adventures and day camps. We also have other roles available from time to time including cooks, housekeeping and office based jobs. 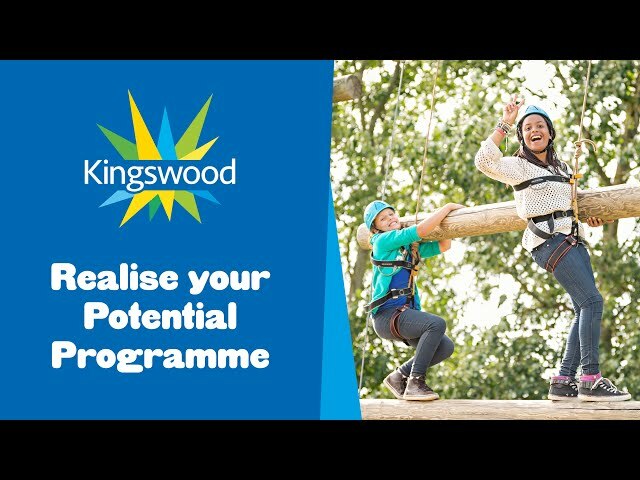 Kingswood creates and maintains an inspiring and adventurous environment that allows us to improve the lives of young people, whilst protecting them from harm. Find out more about our safeguarding policy and the steps we take to ensure the wellbeing of young people below.